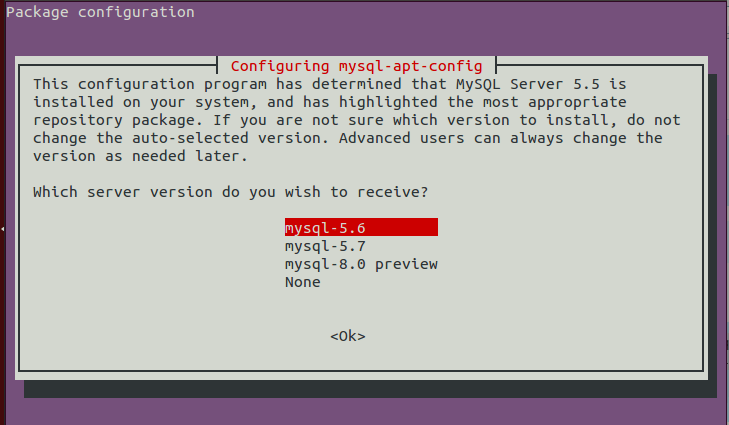 In this tutorial, I will tell you how to upgrade your MySQL version on Ubuntu in simple steps. This is very necessary to keep the softwares up to dates to get benefits. 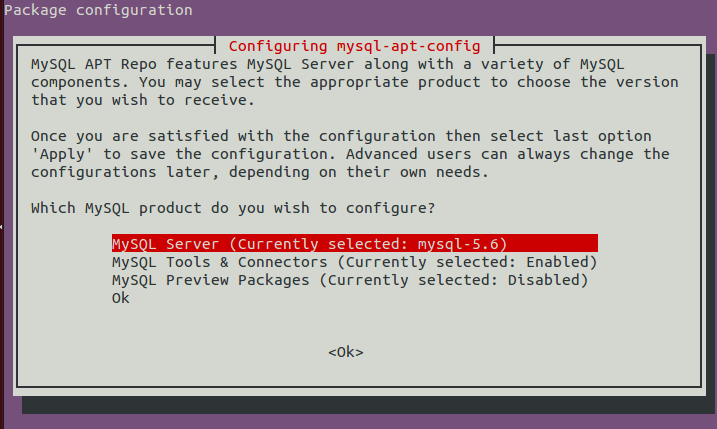 After configuring MySQL version press OK.